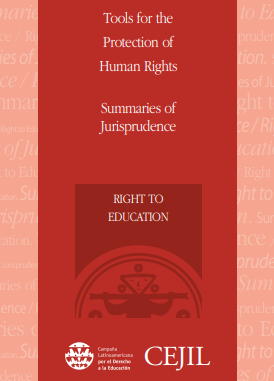 The research reveals that, although the General Laws of Education in the region recognize education as a human right and the State as guarantor of its full exercise from early childhood, with different starting points, fragmentation and dispersion of the policies and practices for this educational stage persist, as well as the absence of adequate financing. 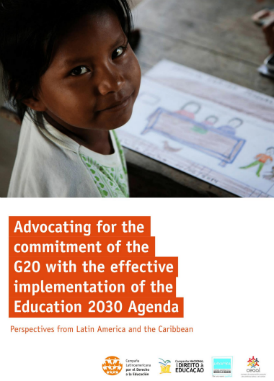 CLADE, in partnership with members in countries of the region that are part of the G20, calls on these governments to reaffirm their commitment to ensure sustainable, fair and adequate public funding to strengthen free and inclusive public education systems. 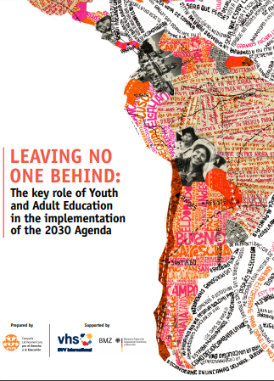 This document precisely sets forth the importance and the impact of a consolidated youth and adult education, with allocated budget and policies, for the promotion of other human rights and fundamental freedoms, and for the full implementation of all Sustainable Development Goals. 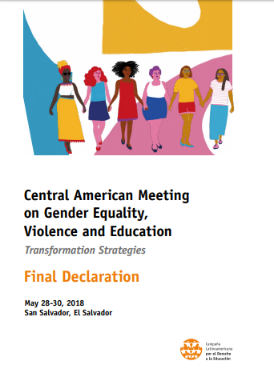 The “Central American Meeting on Gender Equality, Violence and Education: Transformation Strategies” was promoted by the Latin American Campaign for the Right to Education (CLADE) in partnership with UNICEF in El Salvador. 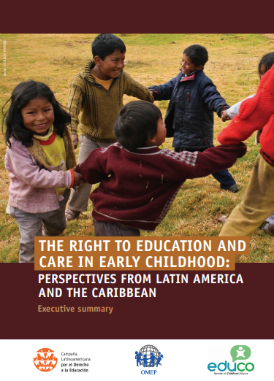 This final declaration is the result of debates, reflections and recommendations made during this meeting. 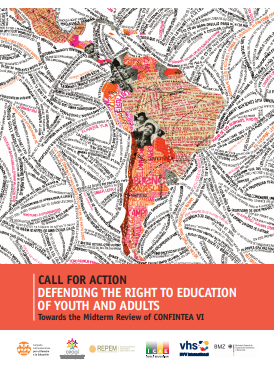 Recognizing the importance of YAE towards overcoming regional challenges, we launch this Call for Action in the context of the midterm review of CONFINTEA VI and of the implementation process of the 2030 Sustainable Development Agenda. 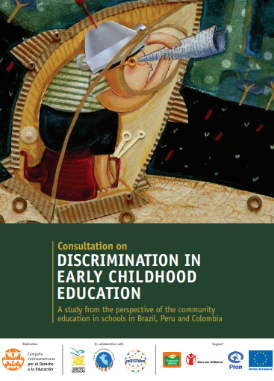 Through investigation, this consultation sought to find out to what extent and how discrimination is perceived by the actors involved, in education institutions in Brazil, Peru and Colombia and to investigate how discriminatory practices have an impact on children. 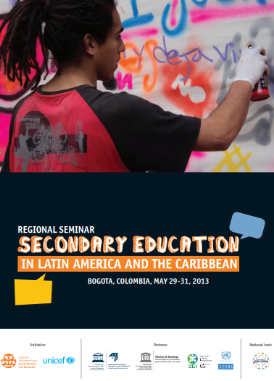 Download the document produced during the Regional Seminar Secondary Education in Latin America and the Caribbean, that was made from 29 to 31 May in Bogota. 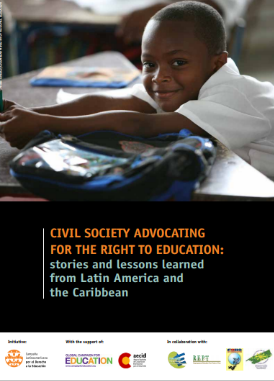 Document produced by CLADE presents stories and lessons learned from national partnerships for educación in Bolivia, Nicaragua y Dominican Republic, expecting that this can inspire other similar iniciatives.